We will be watching Bleach Movie 2. And bring your card games to play. Get ready to be spooked. Professional Storyteller Alan Irvine is coming back a second time to tell us ghost stories. This is a program for teens and adults. Please leave your children at home as it could get a little scary. We will be playing a wide variety of Wii games… large scale! Below are the winners of our teen photography contest. We had 39 entries and over 100 people voted for their favorites. Thank you to all who participated! 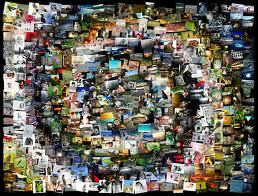 All entries for the Teen Photography Contest are due at the Coyle Free Library this Friday by 5 pm. All entries will be displayed at Chambersburg Mall starting on Memorial Day. 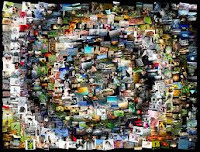 If you don't have anything to submit, at least come out and vote for your favorite photo! Celebrate Free Comic Book Day... you will be able to get at least one free comic book (possibly more) and we will be watching Scott Pilgrim vs. the World. This will be one place where you can be a total comic geek/fan. Here's a little more information on what is happening during "It's A Mystery". We will be playing 221B Baker St, a Sherlock Holmes board game where you get to be Sherlock. 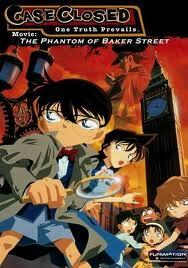 Then we will be watching Case Closed Movie: Phantom of Baker Street. It should be a wonderfully mysterious time. Here is what is happening this spring! 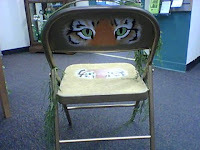 Rachel Watson won 1st prize in our chair decorating contest. She has won a $50 gift card to Michael's. Congratulations! Below are pictures of her creation. 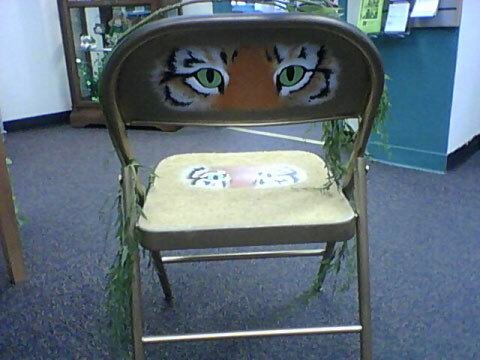 Stop by the library over the next week to see the chair live. 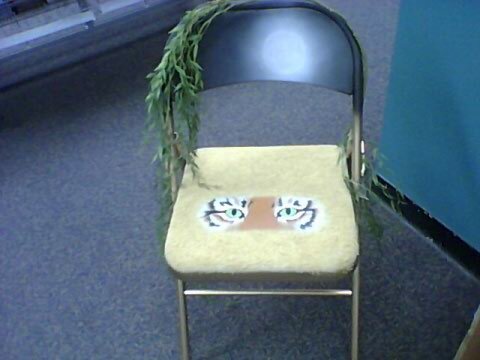 We provide the chair, you take it home to decorate.